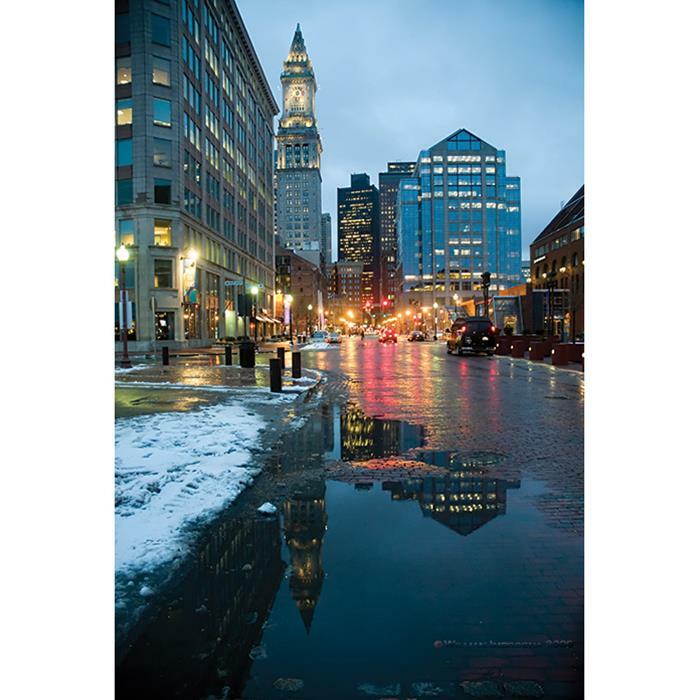 This greeting card features a nighttime photograph of downtown Boston by photographer William Imbrogna. Larger editions of this photo are also available. Please contact us for details. For more of William's work, please visit imbrognaphoto.com. Our photo greeting cards are printed using a giclée system, using archival inks and heavyweight paper, for prints which will last for decades.